MANILA, Philippines – Groups linked to the Jesuits, the religious order running the Ateneo de Manila University, issued a statement rejecting a hero’s burial for the late dictator Ferdinand Marcos. “Burying the dictator in the Libingan ng mga Bayani (Heroes’ Cemetery) buries human dignity by legitimizing the massive violations of human and civil rights, especially of the right to life, that took place under his regime,” the Jesuit groups said in a statement Thursday, August 18. 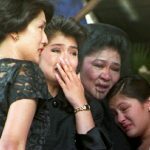 “Burying the dictator in the Libingan ng mga Bayani will not heal our wounded country,” they added, rebutting President Rodrigo Duterte’s assertion that a hero’s burial for Marcos will bring “healing” for the Philippines. The statement was originally signed by the Institute of Social Order (ISO), the John J. Carroll Institute on Church and Social Issues (JJICSI), and Simbahang Lingkod ng Bayan (SLB). 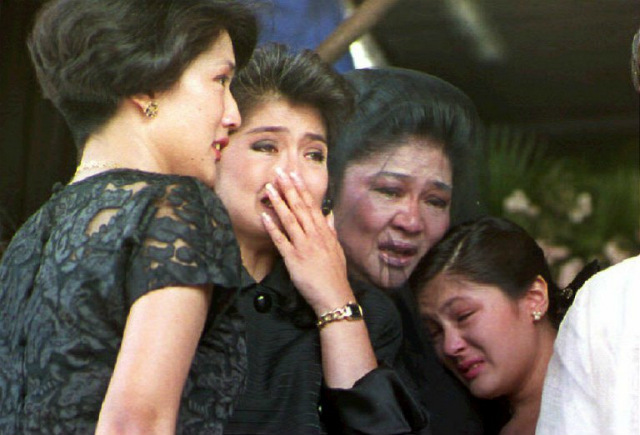 JJICSI and SLB began during the turbulent Marcos years. JJICSI was born in 1984 to address the need for options in the face of “the already desperate situation” during the Marcos regime, a write-up on its website said. SLB, for its part, began as an election watchdog during the fraudulent 1986 snap elections won by Marcos. The statement of ISO, JJICSI, and SLB is open for more signatures of groups associated with the Jesuits, formally known as the Society of Jesus. The Society of Jesus is the largest male religious order in the Catholic Church. The order is known for its schools around the world. The Jesuits run several Ateneo schools in the Philippines – in Cagayan, Davao, Manila, Naga, Iloilo, Cebu, and Zamboanga. Duterte himself studied at the Ateneo de Davao. Duterte, whose father served as a Cabinet member of the late dictator, wants a hero’s burial for Marcos. The President said Marcos deserves a hero’s burial because he is a soldier and a former president, and this is supposedly allowed under Philippine laws. Three petitions have been filed before the Supreme Court seeking to stop the burial, anchored on existing laws and the 1987 Constitution. Like the Jesuit signatories, the Catholic Educational Association of the Philippines (CEAP) earlier opposed the burial of Marcos at the Libingan ng mga Bayani. On August 24, the Supreme Court is set to hear oral arguments on consolidated petitions against a hero’s burial for Marcos.